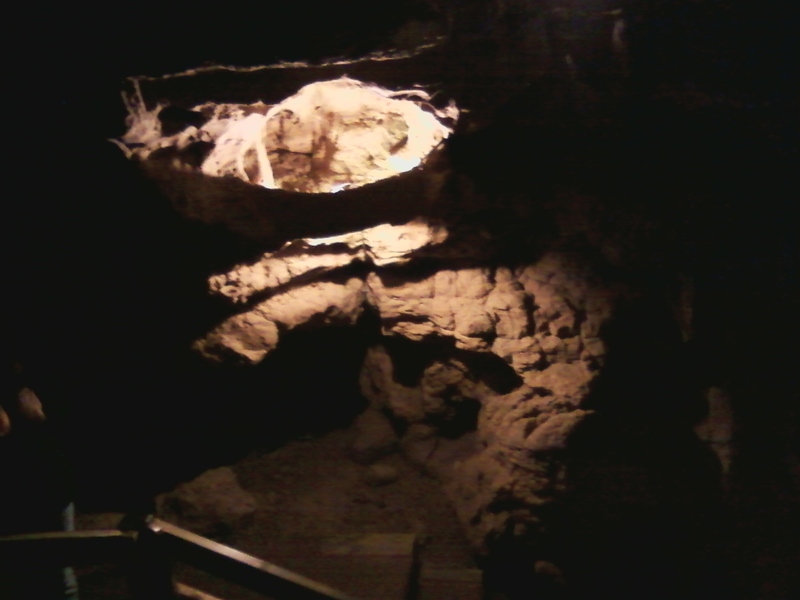 We started out with a tour of the cave. It was damp, dark, and not nearly as chilly as I expected. 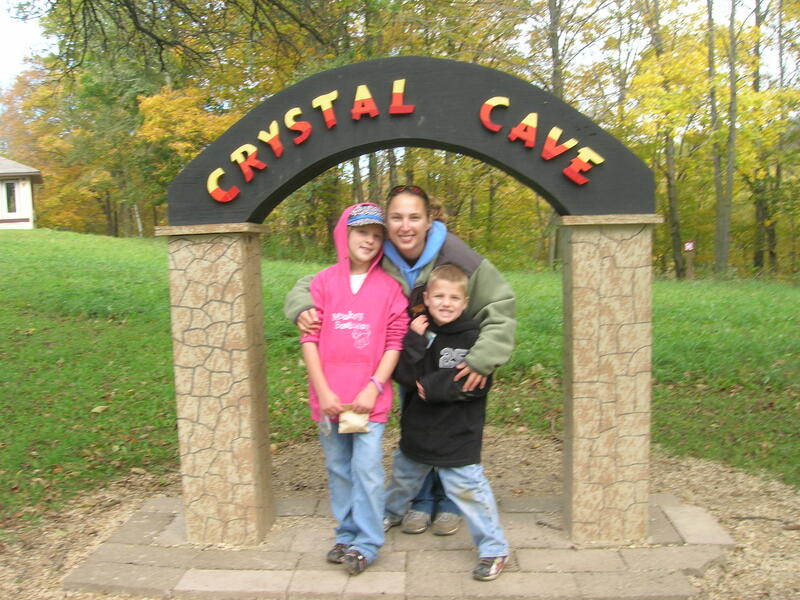 When I was a kid, I had gone on cave tours before (mostly in MO). They always amazed me – still did today! There was really nothing new and spectacular, but it was still amazing. It was a typical tour of different types of caverns, total blackness (where they turned the lights out), bats that flew over our heads, etc… The thought that all those wonders can exist, and we may never know is amazing! Makes me wonder where else there may be cave formations right under our feet! 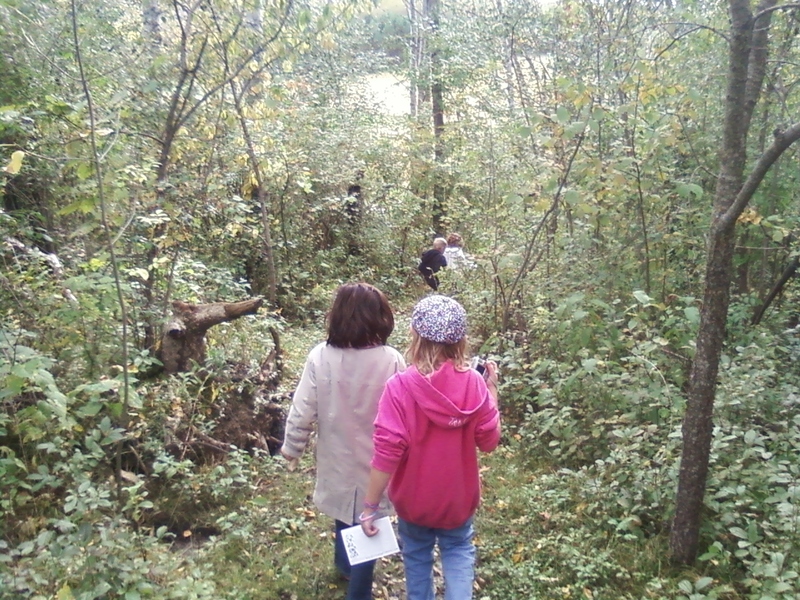 When everyone finally decided we were done prospecting, we headed for their Nature Trail. It was a beautiful walk through the woods. We saw some beautiful flowers, mushrooms growing in odd places (like 8 ft or so in the air on a tree), mystery substances on trees, and of course, BEAUTIFUL fall colors! 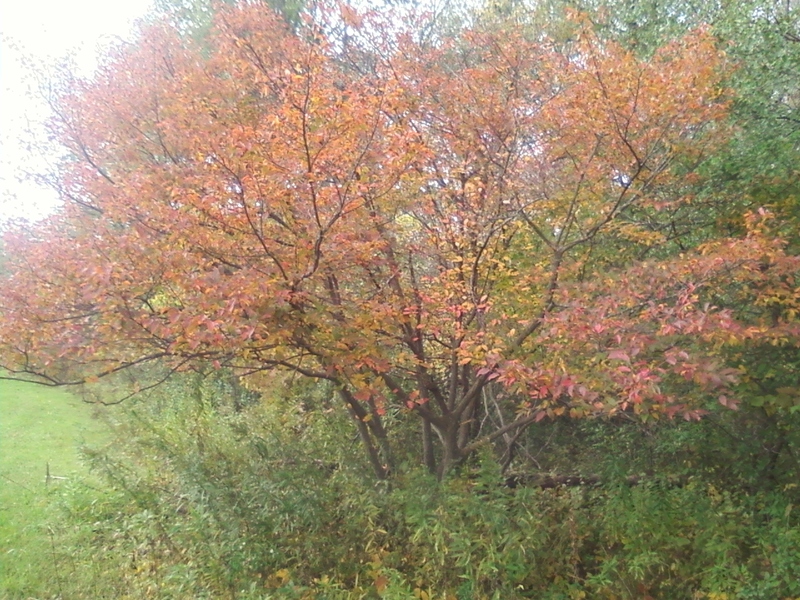 This year, the colors seem to be especially gorgeous!! It was only about a 20 minute hike up and down hills, over fallen branches, etc. Not a hard walk, by any means – enjoyable by all! The weather was perfect, everyone was getting along… it was great! There was one point where my kids got into a little tiff, but that’ll happen, especially when one of the children is a 5 year old, still trying to outgrow naps! 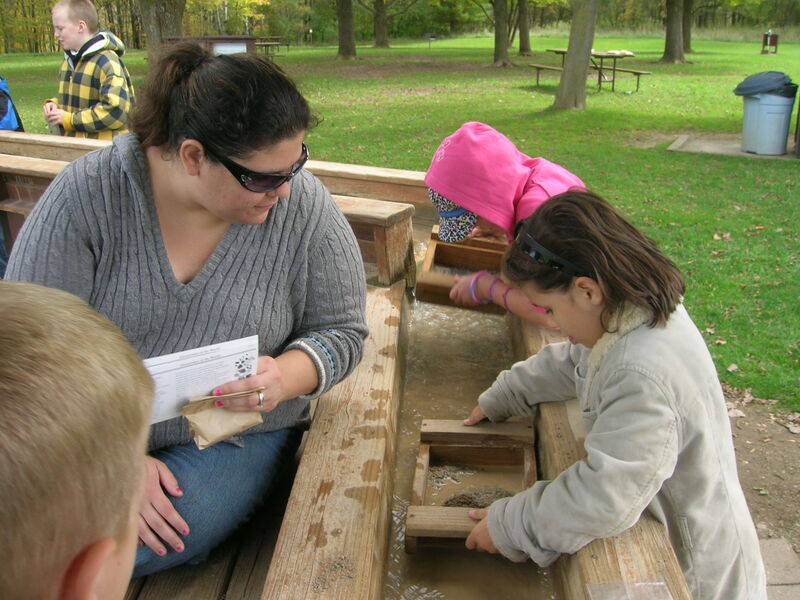 After enjoying all the activities Crystal Cave had to offer, it was off to Maple Leaf Orchard for a hayride. Unfortunately, when we got there, hayrides were not being offered, due to all the recent rain. They did, however, have people standing behind crates of apples, ready to slice off a piece of whatever kind you wanted to taste! We all went from crate to crate, sampling the different kinds. The kids like the Honeycrisp and Sweet 16 the best. We sampled Connel Reds and Cortlands, because they were the two kinds offered for “pick your own.” I liked the Connel Reds the best, but was over-ruled by the other 3 adults who liked the Cortlands the best. They were good, but I think the Connel Reds would make a better applesauce. As we started picking them off the tree (and sampling them) we decided the ones on the tree were a tad more tart than the sweet one we tasted inside. The older two girls probably enjoyed the apple picking the most. 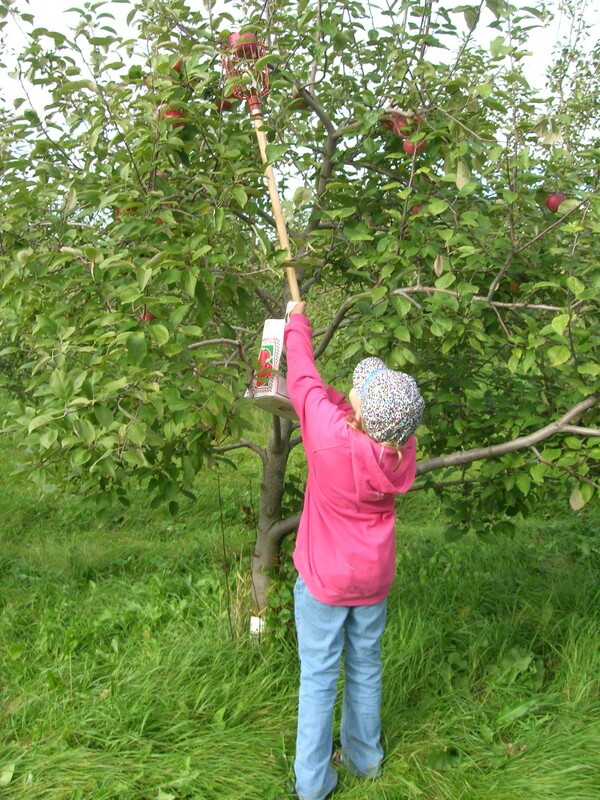 Grace especially had fun using the apple picker to get the high ones. We ended up with a half dozen or so Honeycrisp apples, and a whole bag of Cortlands. I expect we’ll be eating lots of apples in the near future! I’m looking forward to my favorite fall treat – sliced apples, cooked in a little butter, sugar and cinnamon (occasionally, I put a little brown sugar in too). I always make enough for the kids, even though they never eat them. Oh darn, more for me! 😉 My Mom left with some squash, and a delicious apple pie that we all ate as soon as we got back to her house! Overall, it was an almost perfect day! The only thing that would have toppled the day into perfection would have been if Jerry, Jason and his boys were with us!! I think they all would have enjoyed the day as much as the rest of us!